“Mmmm, succulent meat,” she said seductively. “Your pie … is tasty,” he said gruffly. 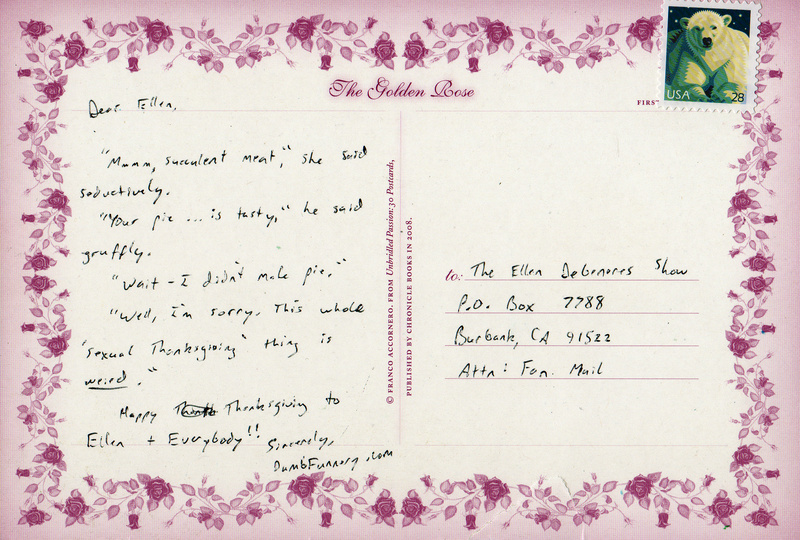 Happy Thanksgiving to Ellen + Everybody! !